No more running back and forth in the grocery store! Enter your grocery shopping list and Smart Grocer auto-magically organizes it into groups that are near each other in the store. Yeah! Smart Grocer is smart! 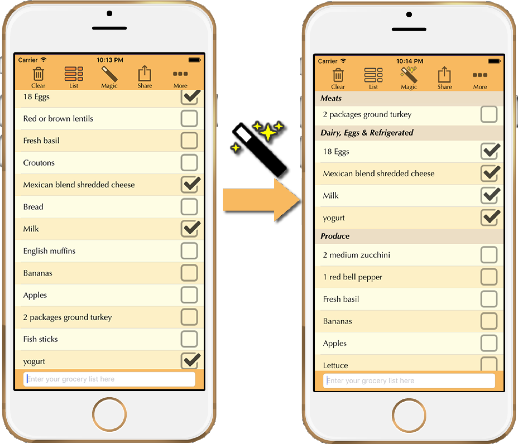 It has a huge vocabulary of grocery items to organize your list for you. And it learns. If Smart Grocer happens to get an item wrong for your store, just "Move" an item to a different category and it will remember that's where that item goes. We’ve all done it... You go from one side of the grocery store to the other and back again chasing down items that you overlooked on your list. NO MORE! Smart Grocer automatically organizes your grocery shopping list into groups that are near each other in the store. 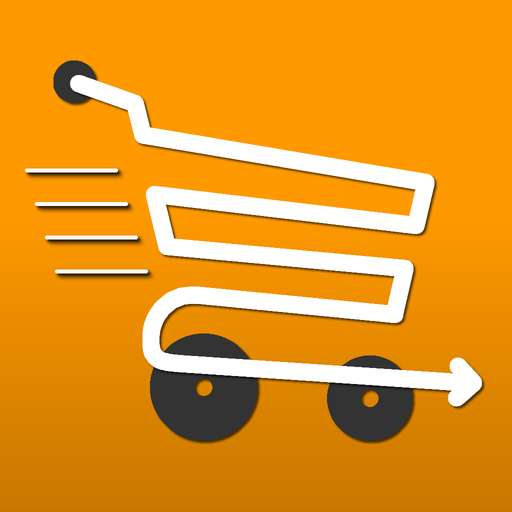 Just enter your shopping list as you normally would, let Smart Grocer do it’s thing and make your trip to the store faster and more fun. Check off items as you put them in your cart. See at a glance what you still need. Swipe LEFT to MOVE an item to a new category. Smart Grocer remembers your new category for next time. Swipe RIGHT for a reminder you have a coupon for this item. Through touch or shake, create gentle breezes that rustle and blow vibrant fall leaves across the forest floor. Leaves transports you to a peaceful and gorgeous getaway.